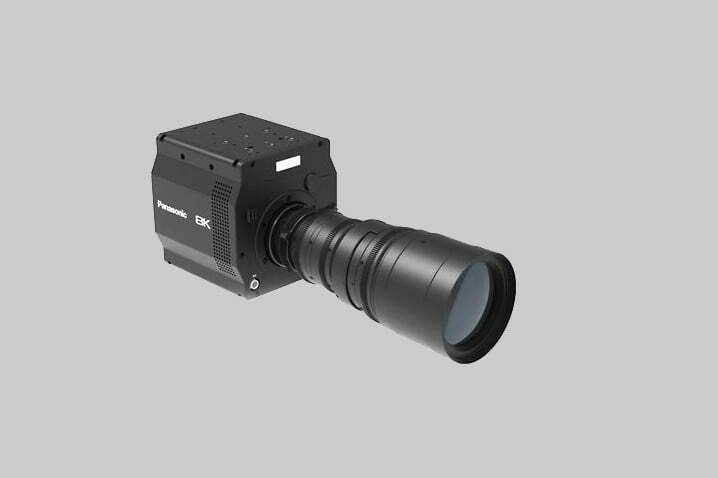 Organic image sensors are no longer just an idea inside research labs — Panasonic just announced the world’s first 8K organic sensor in the AK-SHB 810. The camera realizes the potential of organic sensors by capturing a wider dynamic range and eliminating rolling shutter distortion by using a global shutter. Organic doesn’t mean a GMO-free camera — this type of sensor uses two different layers. One is a photoconductive film that’s responsible for capturing the light. The second layer holds the circuits that turn that light into a digital image. The design allows for capturing a wider range of light and deeper colors. That sensor also uses a global shutter, which exposes the entire image at once rather than moving up and down over the image, By exposing the whole image simultaneously, the shutter eliminates rolling shutter, a type of distortion that makes fast-moving objects appear to lean because they moved before the shutter finished exposing the rest of the scene. The camera requires a 1/120th shutter speed to use that global shutter. The global shutter can also help eliminate flash bands, Panasonic says. Panasonic earlier this year announced the production of an organic sensor with a global shutter, but the AK-SHB 810 is the first time an organic sensor has been integrated into an actual camera. The camera, Panasonic says, is capable of 4K using a dynamic range wide enough to capture details in sun and shade. The camera also integrates an electronic neutral density filter, allowing for longer exposures or wider apertures in bright light. The AK-SHB 810 isn’t actually a camera you’ll be able to just add to your cart on Amazon, though — it’s a box-type camera designed for broadcast and production-level video work. However, the camera marks the move from laboratory research into an existing camera, and with any luck, consumer cameras are next. Panasonic isn’t alone in researching organic image sensors — Fujifilm has also published research on the topic. Besides the wider dynamic range, Panasonic researchers also demonstrated that adding a near-infrared layer would allow a single sensor to shoot both visible light and infrared. The camera will be on display at the International Broadcast Equipment Exhibition next month before an expected launch sometime in the fall of 2019.